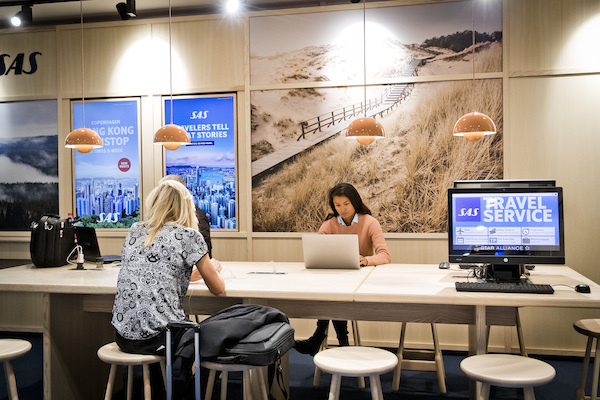 At Copenhagen airport passengers traveling with SAS can now enjoy both upgraded lounges with innovative technology features, and new service products. 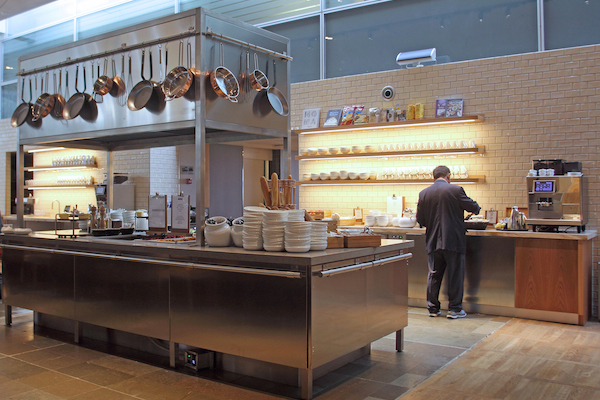 The new products will make time spent in the airport more efficient and pleasant. Travelers can now beat the effects of jet lag and winter depression with light therapy, enjoy a barista-brewed coffee or try out new technology before heading off on their next trip. SAS is investing an amount in the double-digit million range to improve the travel experience for passengers traveling to and from Copenhagen Airport. These investments include a comprehensive upgrade of the SAS Lounges, a brand-new SAS Service Point and a redesign for SAS Fast Track. 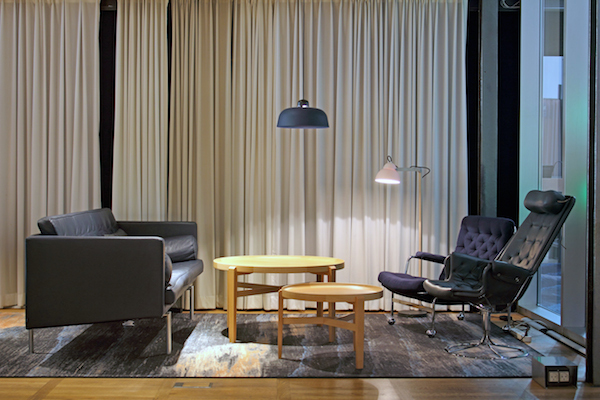 The SAS Lounges at Copenhagen Airport have been refurbished with brand-new, classical Scandinavian furnishings and a design that is optimized for the rising number of visitors, which is the result of more passengers traveling with SAS. The SAS Business Lounge has been given more seats and upgraded toilets and washing facilities. The furnishings also ensure that the rooms and spaces feel larger and more airy. Passengers in the new SAS Gold Lounge can enjoy a barista-brewed coffee and beat the effects of jet lag and winter depression in Scandinavia’s dark, winter months using light therapy in the ‘Daylight Booster Zone’. In the SAS Lounge, passengers can now try out and explore upcoming technology and digital products in a new innovation hub, hosted by tech giant Panasonic. The lamps and light fittings in the lounges are LED-based and energy-saving. All light installations have been designed centred around circular economy. This means, parts and material can be recycled and upcycled. SAS customers can also experience a new and updated range of wines in the lounges and those who are in a hurry can now enjoy the ‘On the Go’ food bar, a concept adapted to modern travelers, who visit the lounge a short time before departure. The Kids Room in the SAS Lounge has also been renovated, with a new, child-friendly design. Here, children can watch an animated film, relax, read a book, build a train track or a tower of bricks and create a chalk drawing on the wall. Passengers can take children under the age of two with them into the lounge free of charge. 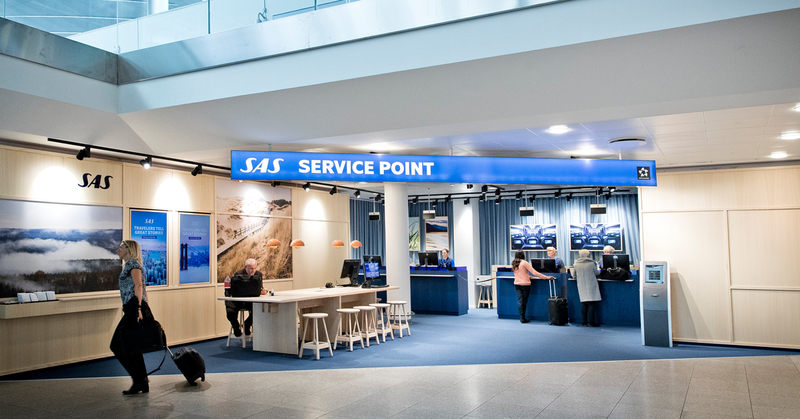 A brand-new SAS Service Point has also opened in Terminal 3, where SAS check-in and Bag Drop are located. The SAS Service Point has a recognizable SAS identity and, among other things, will provide computers for booking tickets, check-in, charging points for mobiles, tablets, etc. and personal service from SAS staff, who can help if problems arise with the customer’s journey. SAS Fast Track, which is located in Terminal 3, has also been given a visual refresh and an interior in line with SAS’ updated design concept, which is characterized by subdued color tones and long-lasting materials such as leather, metal and wood.